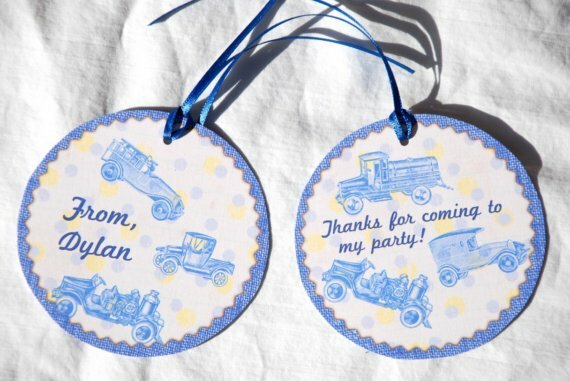 When you're planning a party or event, Etsy has so many shops that offer not only invitations but coordinating party decorations as well. If anything you can get some inspiration! 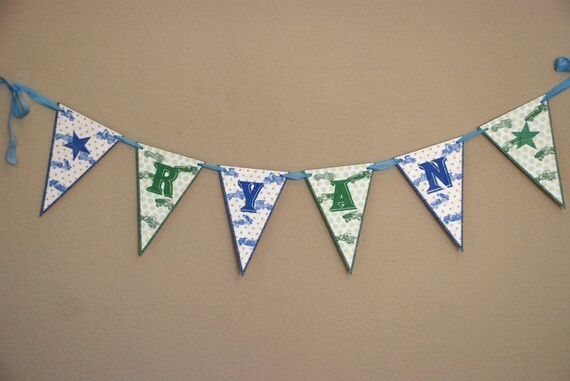 I was so thankful to have found today's featured Etsy shop when planning Lil' Hunkie's 1st birthday! 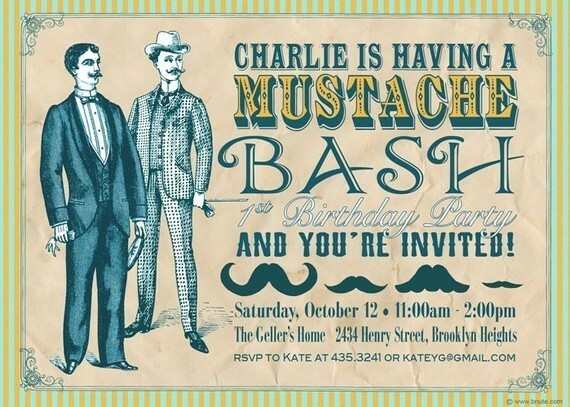 B.Nute Productions has great, great vintage style invitations, party decorations, and she does birth announcements! 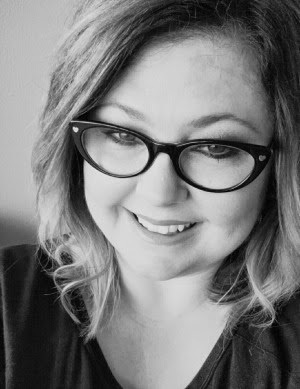 Betsy was so great to work with as well and of course she does custom work too! 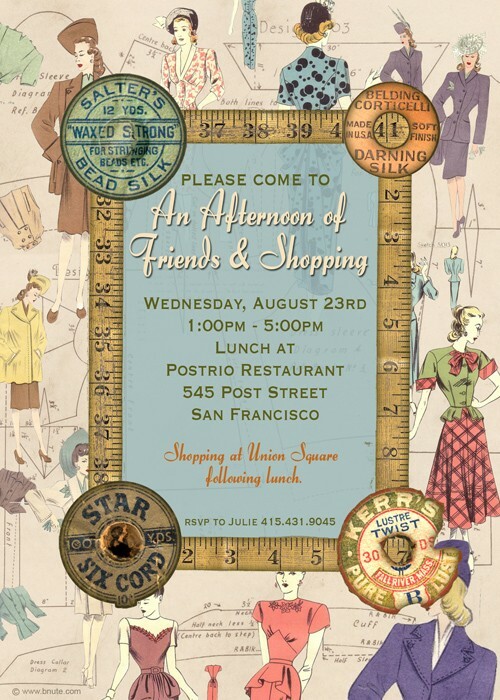 This was the invitation I used! I also had her do a banner for me, mine was red and blue instead of green. She used this favor tag and made cupcake picks for me! I love this!! And I love the idea of a friends and shopping party! What fun! The mustache theme is all over the place!! I think this vintage style is terrific! 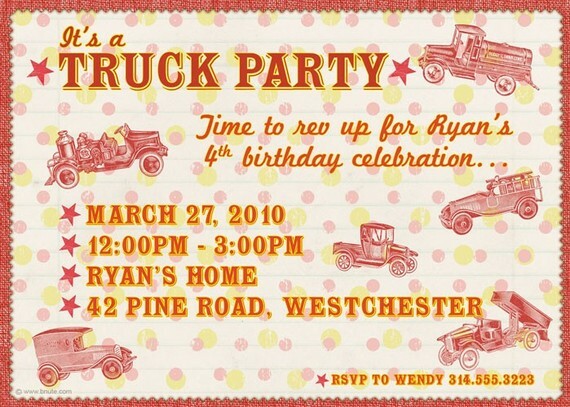 Betsy also has an awesome blog where she offers party ideas and FREE printables!! So what are waiting for? Head on over! !